The care and comfort of our patients are our top priorities, and we strive to make every dental visit a positive and stress-free experience. In our state-of-the-art practice, we offer the most advanced technology and proven methods of care, to deliver treatment that is precise and gentle. As a trusted dentist in Miami Lakes, we treat our patients as partners in care and are attentive to all questions and concerns that may arise throughout the course of treatment. Whether you or any member of your family are in need of a checkup and cleaning, restorative care, a cosmetic smile makeover, the replacement of missing teeth, or one of the many other dental services that we provide, you can rest assured that your oral health is in the best of hands. To make an appointment, simply call us at (308) 821-6388 or click here to request an appointment online. Have you ever felt intimidated by the cost of obtaining the brilliant, beautiful smile you’ve always wanted? Do you want to know more about your options to pay for your dentistry procedures? If you have always dreamed of that beautiful smile, CFD Team Members are just as dedicated to helping you achieve that. We understand that not everyone can afford to just plunk down the full amount for high-end cosmetic dentistry. Knowing your dentistry financing options can help make your decision much easier. We offer many financing solutions to fit any budget and to meet your needs. 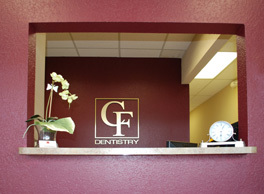 At Comprehensive Family Dentistry, you may choose from a variety of ways to make a payment. We accept cash, money orders, personal checks, as well as Visa, MasterCard, American Express, and Discover credit cards. In addition, we accept financnig through CareCredit, Lending Club, and Bright Smile. We also work with many PPO Dental Insurance Plans including MetLife, Delta Dental, Aetna, Humana and Guardian. To find out if we accept your plan, please call our office. If you would like to apply for a CareCredit payment plan, please click here. Our office is located at 6848 NW 169th Street, Miami Lakes, FL 33015. Please enter your zip code or city, state below for door-to-door directions.